Since its opening in 1965, the Watergate complex has been one of Washington's chicest addresses, a home to power brokers from both political parties and the epicenter of a scandal that brought down a president. 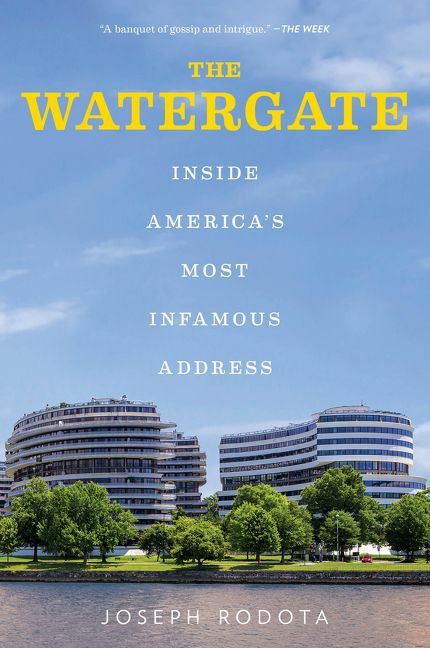 In The Watergate, writer and political consultant Joseph Rodota paints a vivid portrait of this landmark and the movers and shakers who have lived there. Watergate residents—an intriguing casts of politicians, journalists, socialites and spies—have been at the center of America's political storms for half a century. The irrepressible Martha Mitchell, wife of President Nixon's attorney general and campaign manager John Mitchell, captivated the nation with a stream of outrageous interviews and phone calls from her Watergate duplex. Supreme Court justices Ruth Bader Ginsburg and Antonin Scalia put aside their differences many a New Year's Eve to celebrate together at the Watergate, dining on wild game hunted by Scalia and cooked by Ginsburg's husband. Monica Lewinsky hunkered down in her mother's Watergate apartment while President Clinton fought impeachment; her neighbor U.S. Senator Bob Dole brought donuts to the hordes of reporters camped out front. Years after Secretary of State Condoleezza Rice hosted chamber music concerts in her Watergate living room, guests remembered the soaring music—and the cheap snacks. Rodota unlocks the mysteries of the Watergate, including why Elizabeth Taylor refused to move into a Watergate apartment with her sixth husband; reveals a surprising connection between the Watergate and Ronald Reagan; and unravels how the Nixon break-in transformed the Watergate's reputation and spawned generations of "-gate" scandals, from Koreagate to Deflategate. The Washington Post once called the Watergate a "glittering Potomac Titanic." Like the famous ocean liner, the Watergate was ahead of its time, filled with boldface names—and ultimately doomed. The Watergate is a captivating inside look at the passengers and crew of this legendary building. Joseph Rodota is a writer and consultant who has worked at the highest levels of politics in Washington, D.C., and California. 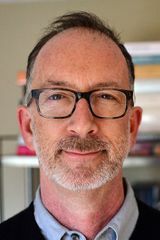 He worked in the Reagan White House and as a top aide to California governors Pete Wilson and Arnold Schwarzenegger, and has written for the New York Times, Los Angeles Times, Huffington Post and other outlets. He lives in Sacramento, California, where his play Chessman, about the final days of the “Red Light Bandit” Caryl Chessman, premiered at B Street Theatre. Are you a Joseph Rodota fan? Sign up now for Joseph Rodota alerts, including news and special offers. Thank you for signing up to receive news about Joseph Rodota.